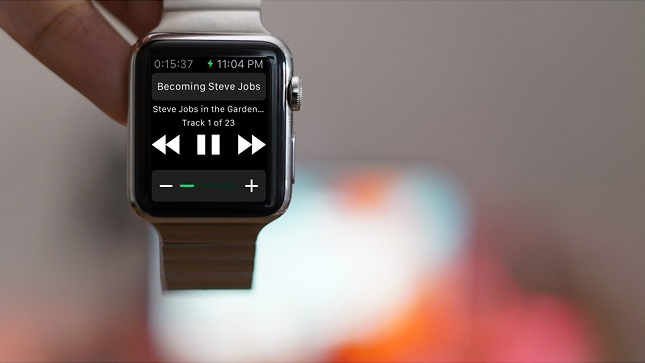 How to Listen to Audiobook on Apple Watch Without iPhone? If you are wondering how to listen to audiobooks on Apple watch without iPhone, this post is exactly what you are looking for as it is going to show you how to play audiobooks on Apple watch and introduce you a tutorial guide on achieving this. As you may already know, Apple watch has not been able to play audiobook freely by itself and audio app is yet to be supported on Apple watch right now. But if audiobooks are totally DRM-free, Apple watch is fully capable of playing audiobooks in this case. As a result of that, if users come across DRM-encrypted audiobooks, a third party program is required to help remove DRM first and then transfer DRM-free audiobook to Apple watch for playing freely. So here I would firstly introduce you a professional program to remove DRM and convert DRM-free audiobook to universally compatible format mp3 afterwards. Leawo TunesCopy Ultimate is exactly the right program to help you remove DRM from audiobooks as well as any other iTunes videos or music. It is designed to provide multilingual services for users across the globe. With the advanced technology being applied in this program, it is able to work 50X faster than its peers in the industry. Most importantly, users need not worry about any quality loss as this program is perfectly capable of retaining the file quality as 1:1 as the original file, allowing users to listen to exactly the same quality audiobook on their Apple watch once DRM is successfully removed from audiobook. In the following I would further break down the process into detailed steps to guide you to load audiobooks on Apple watch with the help of Leawo TunesCopy Ultimate. First you are recommended to donwload and install Leawo TunesCopy Ultimate on computer. And then follow the steps below carfully. Step 1: Add the source iTunes audiobook to the program. Click the “Add Files” button to import the source audiobook to the program. 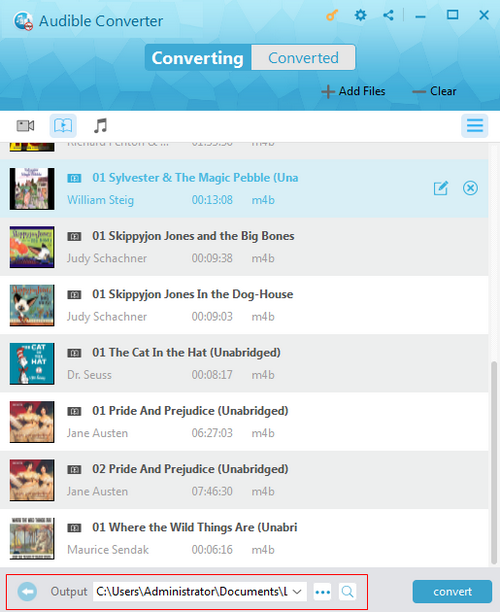 To save time, import audiobooks in batches. To ensure better output effect, set the parameters such as channel, sampling rate, and bit rate based on your own preference. Step 3: Set a directory to save the output mp3 audiobook. On the output directory box, set a directory to save the converted mp3 audiobook after DRM removal. Step 4. Remove DRM from the source audiobook and convert DRM-free audiobook to mp3 afterwards. 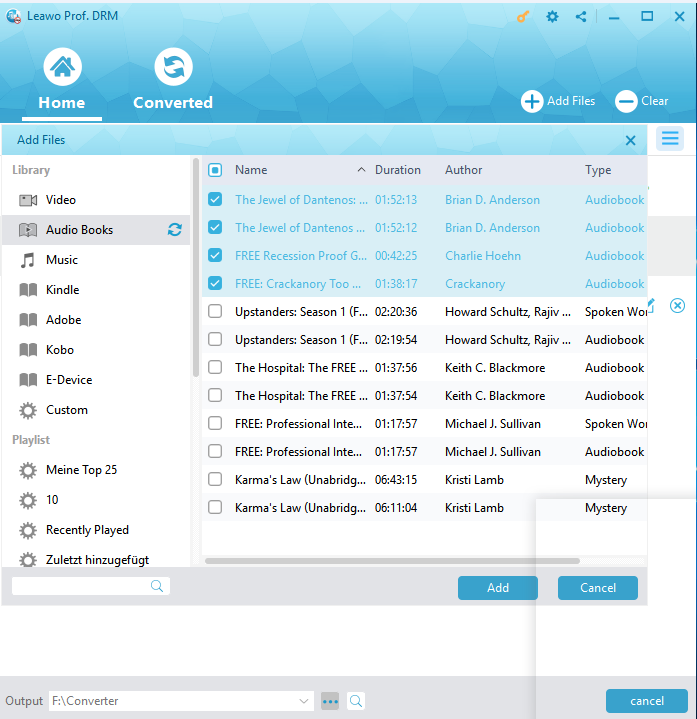 Click the Convert button to remove DRM first from the source audiobook and convert DRM-free audioboook to mp3 afterwards. The progress bar will tell the conversion completion status so that users can better know when the process will be finished. Step 5. Check the converted file within the program. Check the converted mp3 audiobook under the Converted page, where you can freely play the audiobook or transfer it to other devices for playing. In regards to how to listen to audiobooks on Apple watch without iPhone, we need to proceed with another procedure that is synchronize DRM-free audiobook to Apple watch. Following the above guide, we now have DRM-free audiobook ready for synchronization. Check for below steps to synchronize DRM-free audiobook on Apple watch immediately. Step 1: Start iTunes and click the “Music” tab. Then set up a new playlist. Step 2: Add the iTunes audiobook that you want to listen to on Apple Watch to the newly created playlist. Step 3: Sync the new playlist with your iPhone via iCloud or a cable. Step 4: Open the Apple Watch app on your iPhone > Music > Synced Music, and select your “Audiobooks” playlist. Step 5: Attach your Apple Watch to its charger with your iPhone within Bluetooth range. And then it will sync automatically. Step 6: Once the audiobooks are synced to your Apple Watch, you can play the audiobooks via Apple Watch freely without a nearby iPhone. With the above tutorial guide, you are definitely able to listen to audiobooks on Apple watch without iPhone, no matter when you are running or doing anything else. It is quite convenient and trouble-free when you know how to load audiobooks on Apple watch using a reliable and professional program to help remove DRM effortlessly. Leawo TunesCopy Ultimate is surely the best choice to remove DRM from any iTunes audiobook, music, and video. It integrates iTunes DRM Removal Program and iTunes DRM Media Converter into one program interface, making it much more cost-effective compared with other competitors. Enjoy and have fun with this program as it is way much more powerful than you simply imagine.